LANCASTER – Hundreds of children from East Lancaster received free backpacks recently as part of Eastside Union School District’s inaugural backpack event. Children enrolled in the district were able to choose their backpack filled with school supplies to help them succeed in the upcoming school year. 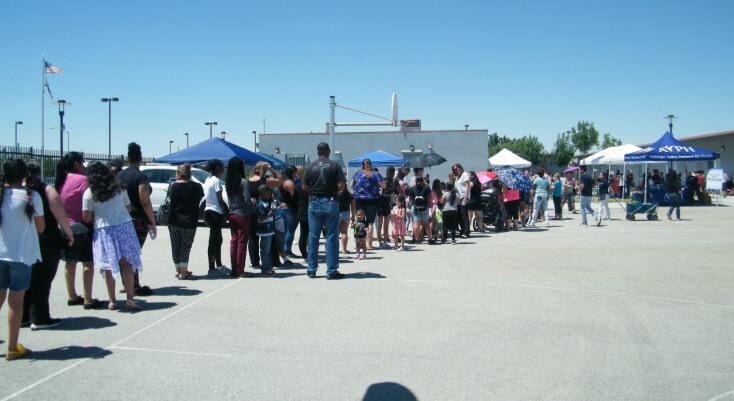 EUSD purchased more than 3,000 backpacks, one for each child enrolled in the school district to distribute at the event. Backpacks were filled with supplies that correspond with the child’s grade level. Supplies included packets of loose leaf paper, notebooks, pencils, crayons, rulers, whiteboards and erasers. During the event, families were able to gain free access to health and dental screenings provided by the Antelope Valley Community Clinic. A food pantry was also made available for families to take home nutritious fruits and vegetables by Antelope Valley Partners for Health. Other community partners such as the Antelope Valley Boys & Girls Club, Los Angeles County Library and City of Lancaster’s Park Rangers were on site to provide free information on their resources. “I am grateful for our community partners and our hard-working staff for organizing this event to those that matter most, our future leaders,” added Lightle. 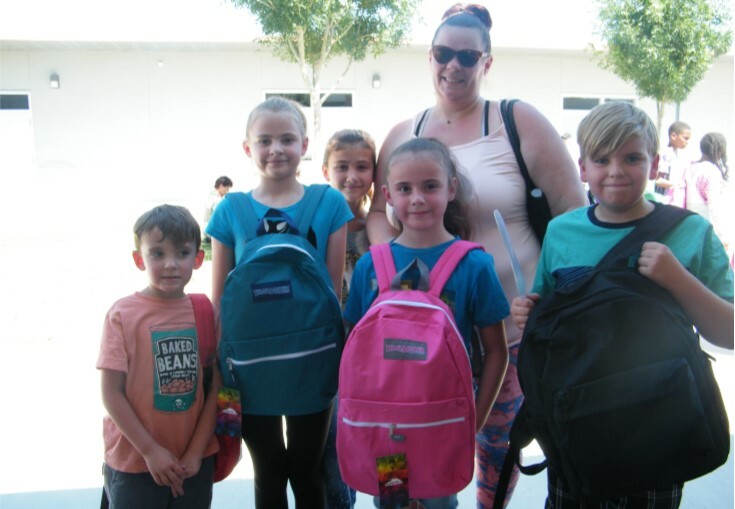 Families that were unable to attend the event and have children enrolled in EUSD or plan to enroll, may pick up a backpack at the District Office through July 31 or at their school site when school begins on August 8. Parents may contact the Educational Services Department at 661-952-1200 for more information. 13 comments for "Eastside students receive backpacks filled with school supplies"
This is nice for the people who are really in need not like most that are not in need they are only selfish and want freebees just my thought. Yes they will trust seen it many times. Yeah, did they have “no I’m not really in need” branded on their foreheads, or were they wearing those special “I’m really rich and just standing here because I feel like it” shirts? In case you missed it, I’m mocking you for the assumptions you make about people you undoubtedly know nothing about. Kids should be taught law in school at a progressive level to that of law school so they can learn right from wrong. The courts will become empty without cases. Science should be taught in the university level only. The law makers are responsible for all the problems in this society, they are at the root of the problems and they never take responsibility for the harm. Wake up and see the truth! Yes, they should be taught at a young age how biased the laws and the PD are. They should be taught that the color of their skin will make them a target, they will be stopped and issued citations because they are not Caucasian. They should be taught not only the law, but the true US history, complete with details about genocide and the land taken by force. They should also be taught about more recent stories, such as what happened to the Mexican American living in Chavez ravine or the violation of the Treaty of Guadalupe. They should be taught about how Texas land was taken from Mexican American citizens with the promise of payment, which never came through. They should be taught that Caucasians are taught at a very young age that they are superior than any other race. You are right “Jackson Jackson”, they should be taught many things, so they are ready for the cruel future that awaits them. Yes , lets teach university level science to grade school children, immediately they will grasp all concepts and be genius. Ever hear of Vigotsky’s zone of proximal development? Your just being ridiculous. Why don’t the parents actually teach their children right from wrong and not expect teachers to teach every aspect of life. Just know that sometimes the children NEED these supplies at home. If they bring them to school other children take them during the day, and don’t give them back. It is better for the children to use what the school supplies the children in school, and these supplies for home.Just saying I work at a school as well and children don’t have what they need at home, and some teachers are spiteful and pick and choose what student should be given supplies. It’s a good point, perhaps teachers can provide the backpack at time of first day in class, and show how the notebook will be divided for subjects (if applicable). Backpacks to all students without discrimination. Some parents can have he means, however do they care. Supplies to all the students.. (period).. I work in a school as well. I think this is a great idea and I’m proud that my district is doing this. Free backpacks and supplies can be a lifesaver for parents. I also encourage you to think about how the students would feel entering class without a backpack or supplies. It singles them out and can make them feel embarrassed or sad. This way, each kid has the opportunity to walk in to school on day one with a fresh backpack and the supplies they need to be successful. I work in a school as well. I think it’s a great idea to give backpacks to the kids! I think that it would be hard on students to walk into class without a backpack, then have to get one from their teacher. This could stigmatize the child and is certainly not the way to set them up for a positive year. In my opinion, it’s better to take a chance that a handful of people will take advantage if it means that our kids can walk into class on the first day feeling a bit more confident and ready to be successful! Good job, Eastside!